Here is a special post about the Konai New Testament dedication, which Brian attended over Easter weekend. Brian isn't usually much of a photo taker, but I told him that he'd better not return without good blog fodder. And he came through, thanks to his trusty phone camera. 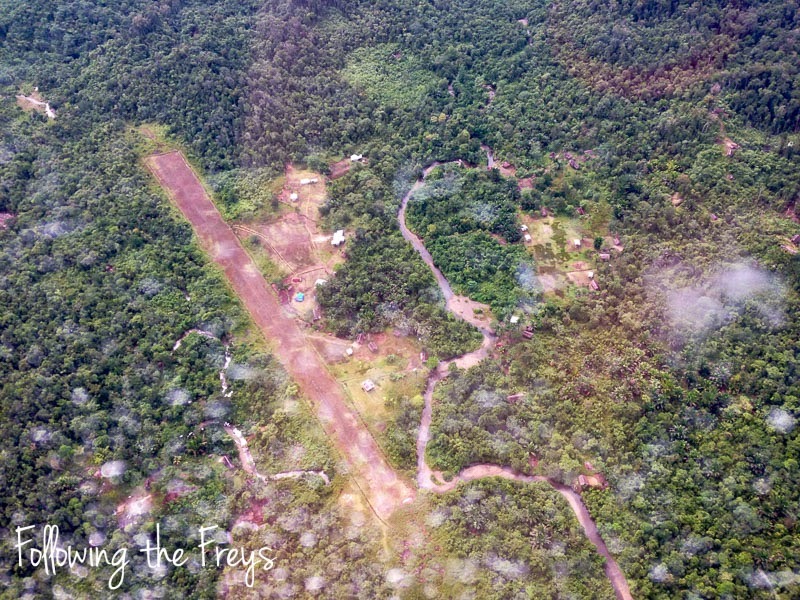 Here is the airstrip and village of Dahamo from the air. 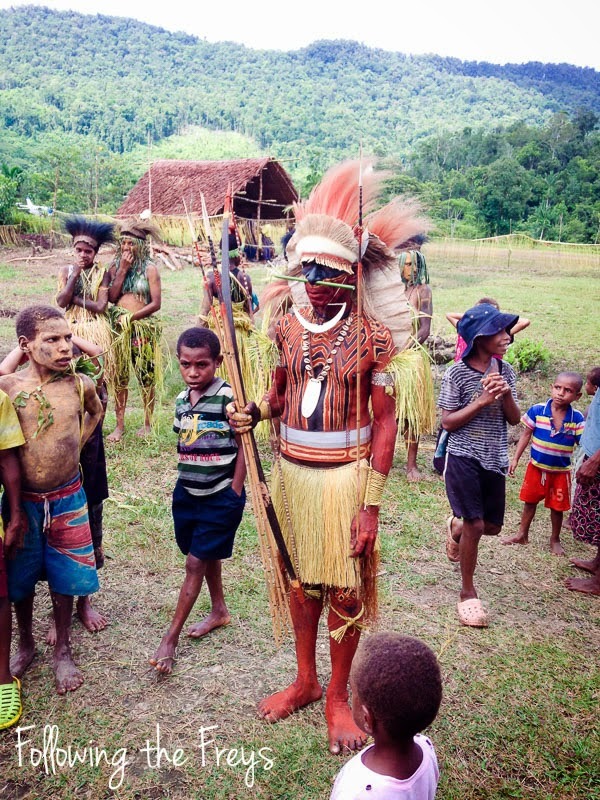 Konai is a small language spoken by about 500 people who live in the north eastern part of Western Province. 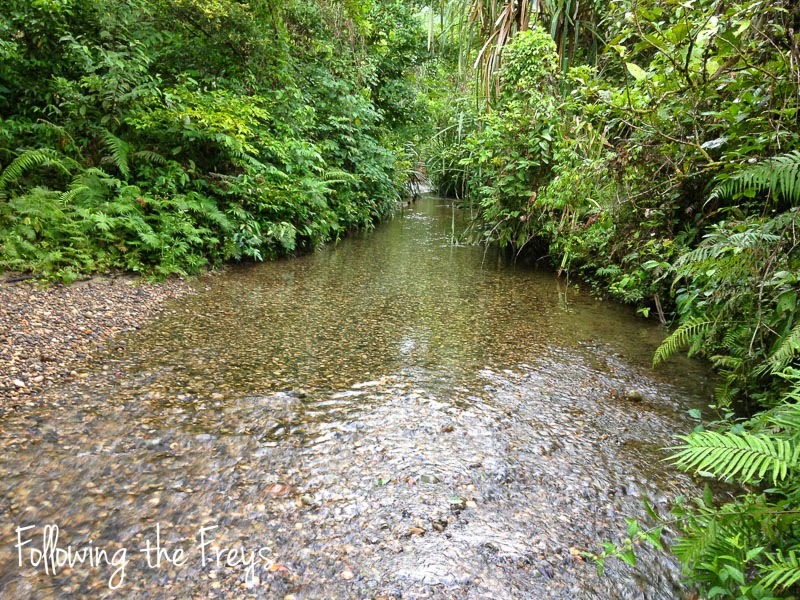 It could be considered one of the more remote places in Papua New Guinea. 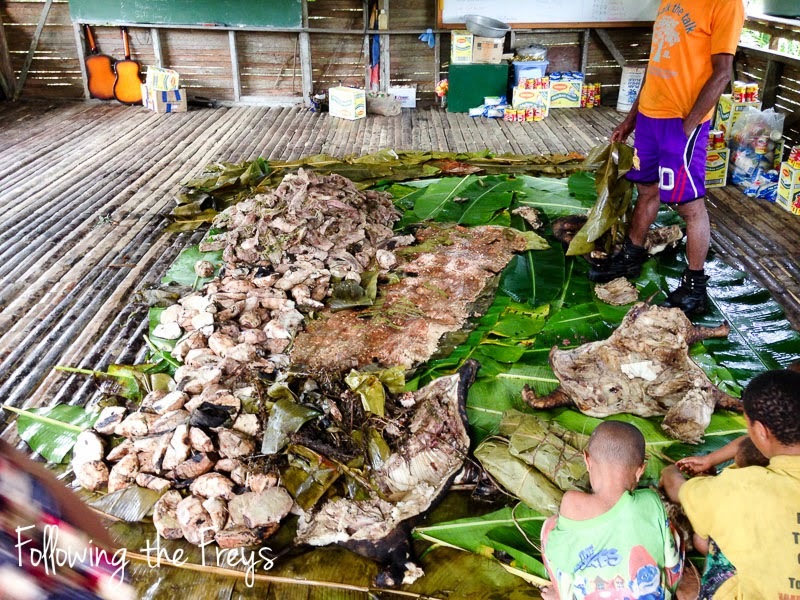 The Gospel was first brought to the Konai in the mid-70's by evangelists from another local tribe - not Western missionaries. Here is some more dancing, this time featuring a man playing a kundu (drum). This is the first time I had seen a kundu that was this long, but Brian was told that this style of drum is typical for the area. This is the house where Brian stayed, along with several other guests, including a contingent from Sweden. They spent two nights in the village. The men's bathing area. Brian said you just lay down in the shallow water, which is maybe a foot deep. He said it was very refreshing in the lowland heat! The New Testaments! About 90 people had pre-purchased vouchers which they proudly traded in for their own copy. The couple in the center are Soren and Britten Arsjo (from Sweden), who led the translation. The guys in blue shirts on the left are those who helped with the Konai translation. 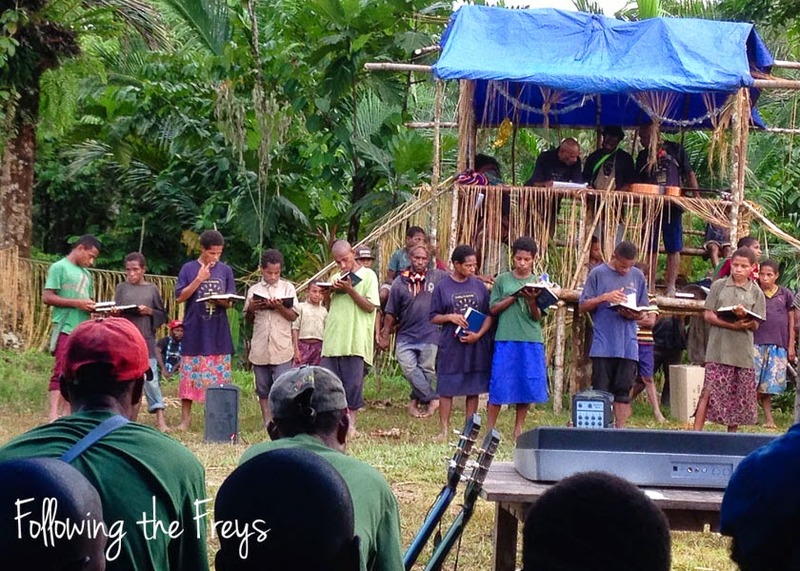 But Konai is the second New Testament that the Arsjos have helped to translate in PNG! Those fellows to the right in the green shirts? 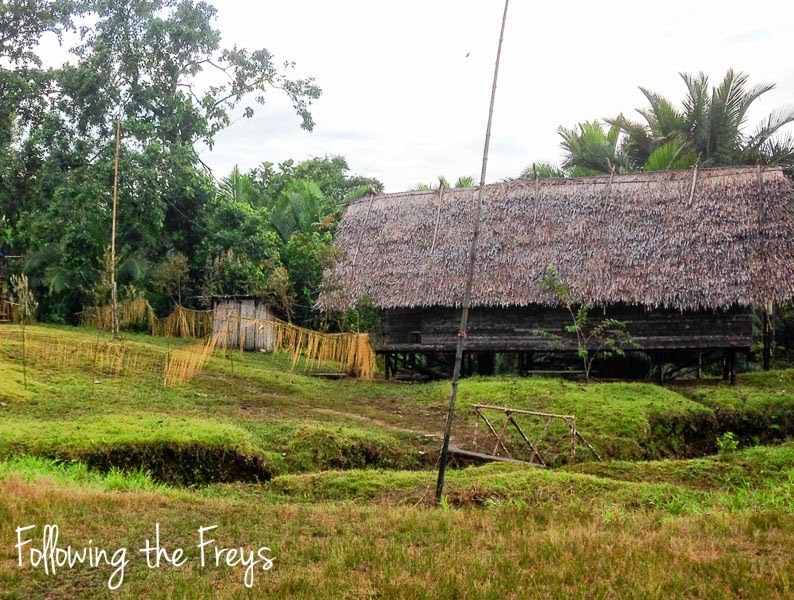 They are the transaltion team from the Ama language in the Sepik - the first language that Soren and Britten worked in. A completely unrelated language. 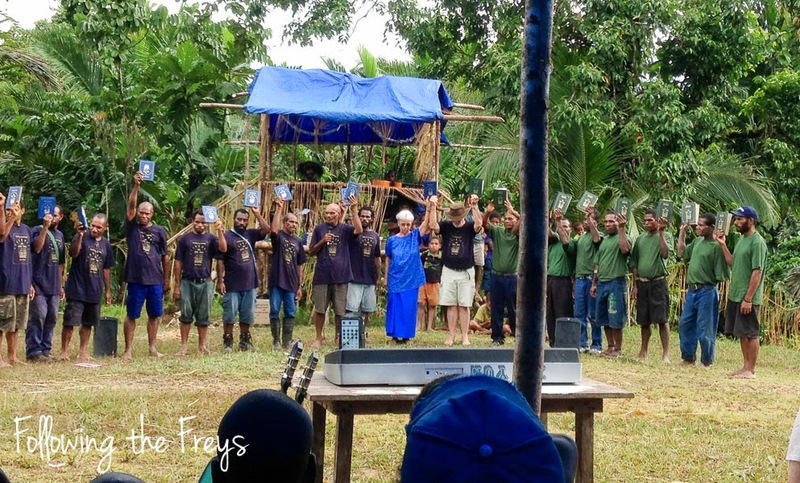 The story goes that when the Ama New Testament was complete, the Ama people told Soren and Britten that their work wasn't done, and they needed to bring God's Word to another group in PNG. If it hadn't been for the request of the Ama, perhaps the Konai would not be celebrating their own translation now. According to Brian, the best part of the dedication was at the end, when this group of young people stood up to read the Easter story in their own language. Brian and the others were amazed at how fluently they read, with hardly any hesitation. It was an affirmation that the Konai language is strong, and that the next generation is learning not only to speak it, but to read it well. 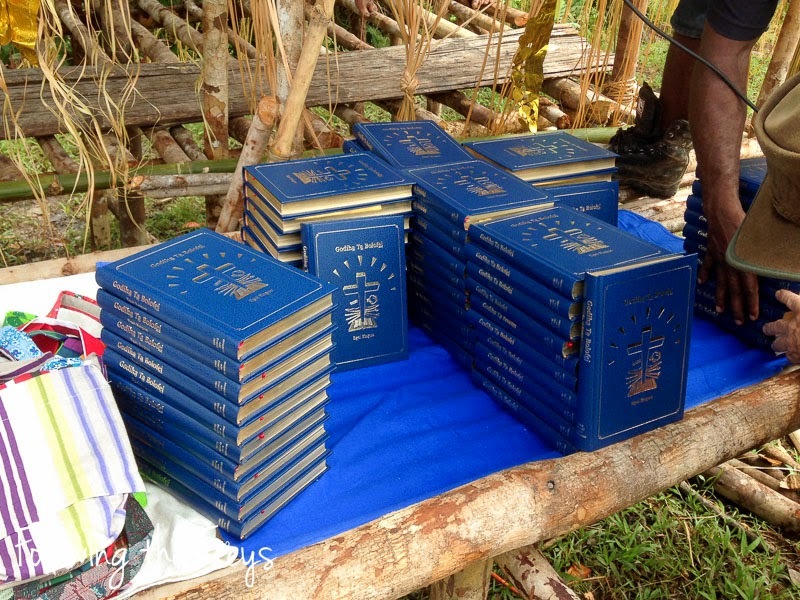 It looks like these New Testaments will see some good use in the years to come. Great post - thanks for sharing the pictures and the story.